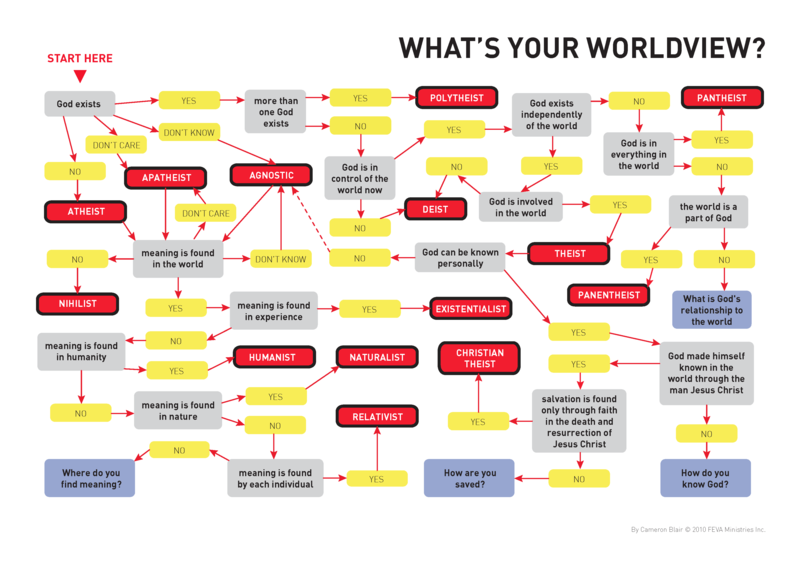 This entry was posted in English and tagged FEVA, survey, theology, worldview. Bookmark the permalink. I did my moore college leaving project last year on ‘Apatheism’. It’s interesting to see it included in this survey. This is cool. Thanks so much. 2) For the Worldview Summary, wouldn’t it be more accurate to have ‘Theist’ come immediately following the first ‘Yes’ followed by “more than 1 God” and replace the current ‘Theist’ with ‘Monotheist’? 3) A major religious category ‘Animist’ is missing. Is there a way to work it in to the current map? 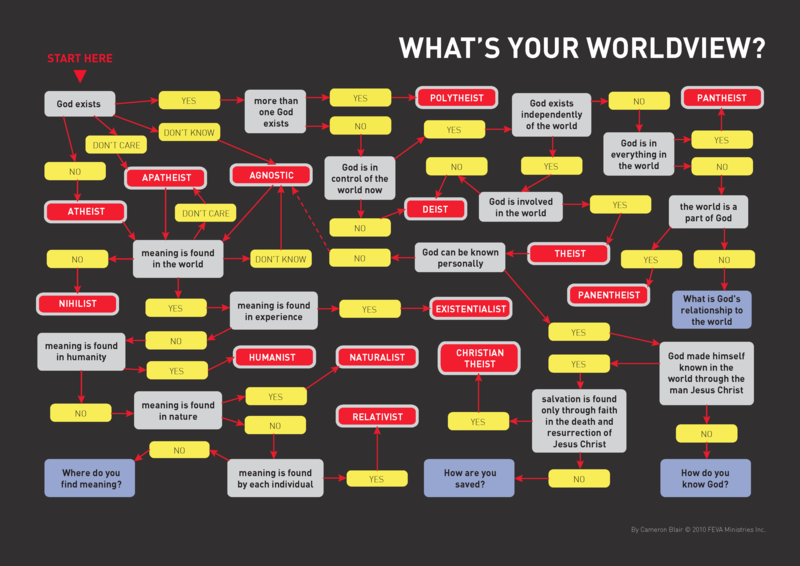 I am using this with Bible classes that I teach to non-Christians as a self-assessment of beliefs. My name is Andrei and i’m from Brazil. would you mind if i translate this infographic and print for expose in my school? i’m waiting your answer. Since now thank. Hi Andrei. Great to hear from you. You’ll need to contact Cameron Blair from FEVA ( cameron @ feva.org) for permission to translate this work as he was the actual creator of the survey. Thanks, Mark. Thanks for the answer Mark!